Is this an old version? 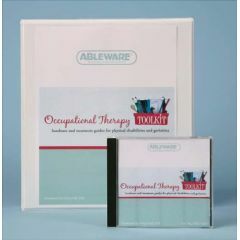 There is a version online at ottoolkit dot com that has more handouts and treatment guides and also free updates. Is the cd version only audio? Can I print out from the CD? Yes you can print it out. This toolkit is very good, it has saved me a lot of time looking for handouts for my patients.